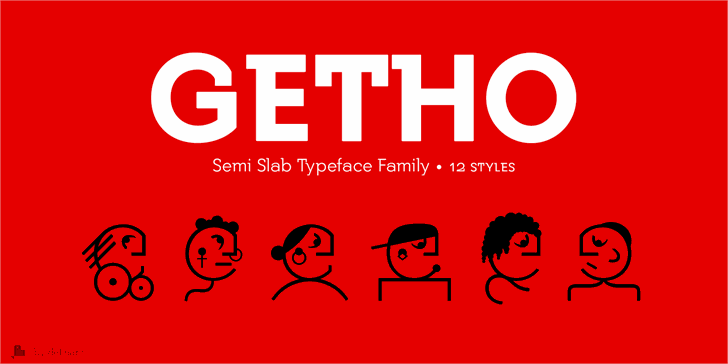 Getho is a Semi Sans family of geometric construction with 6 pesos plus the italic versions all include small letters, the symbol of Bitcoin and other monetary symbols. 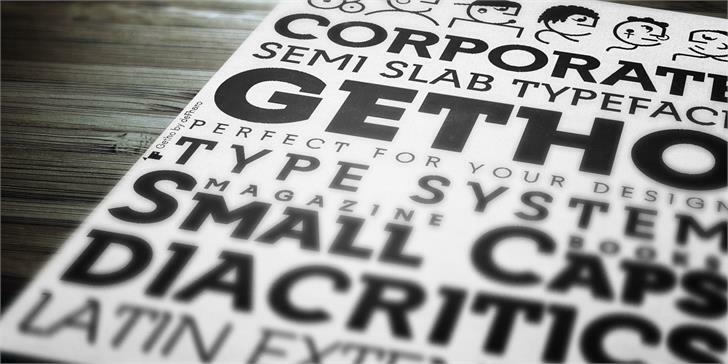 It is an exclusive typography with neo-grotesque modulations and maximum readability in any size. The typeface has alternative letters and numbers, small caps and advanced OpenType functions. 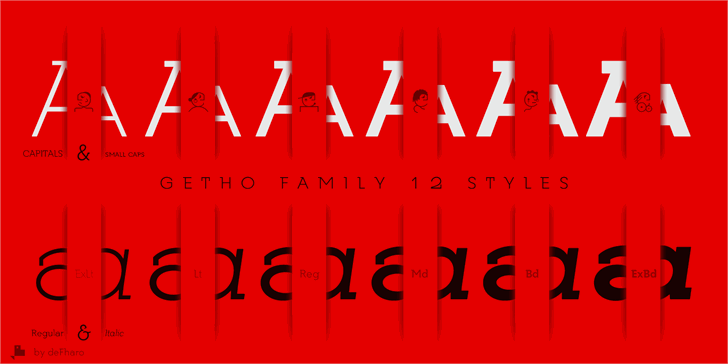 The complete Pack includes versions of the Variable Fonts type. The drawn of the vectors is meticulous to obtain smooth curves of elegant aspect to which also contributes the subtle rounding of the corners, the thicker versions have of traps of ink in the knots of the unions to be able to use them in small sizes. The Metric and the Kerning of all the versions I have reviewed individually to obtain a fluent reading in any type of text and size. 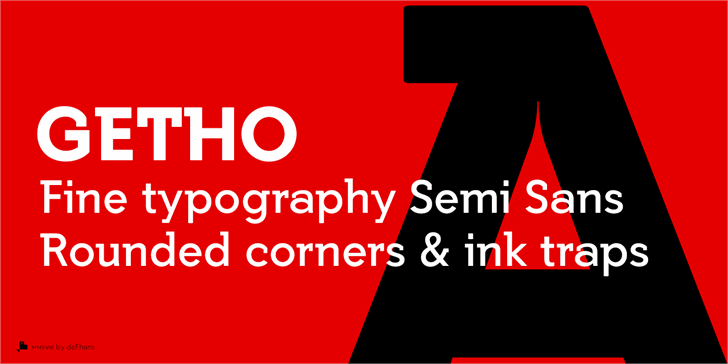 Getho is a Semi Sans family of geometric construction with 6 pesos plus the italic versions all include small letters, the symbol of Bitcoin and other monetary symbols.<br>It is an exclusive typography with neo-grotesque modulations and maximum readability in any size. The typeface has alternative letters and numbers, small caps and advanced OpenType functions.<br>The drawn of the vectors is meticulous to obtain smooth curves of elegant aspect to which also contributes the subtle rounding of the corners, the thicker versions have of traps of ink in the knots of the unions to be able to use them in small sizes. The Metric and the Kerning of all the versions I have reviewed individually to obtain a fluent reading in any type of text and size. Personal use only (FFP)! Leer / Read:<br>https://defharo.com/product-usage-agreement-ffp/<br><br>Commercial license. READ: https://defharo.com/terms-and-conditions-commercial-fonts/<br><br>Please visit www.defharo.com to buy a commercial license. 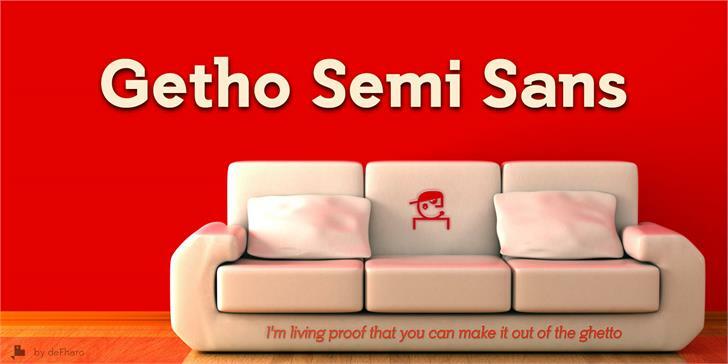 Getho Bold is a trademark of deFharo. Getho Bold Italic is a trademark of deFharo. 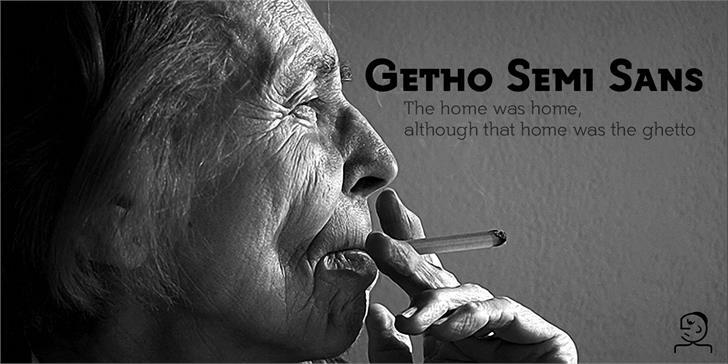 Getho Light is a trademark of deFharo. Getho Light Italic is a trademark of deFharo.